I stopped near Corvallis to take this picture last week. I couldn't believe the sunrise! I've been commuting an hour and change to work 5 days a week for almost 3 months now. The most impactful element of this change has been my morning and bed time routines. I very purposefully created routines before school began, and have implemented and tweaked them with as much authenticity and dedication as I can muster. As it stands, my morning routine is particularly effective, and I am noticing positive changes in my life and attitude that I am attributing to the current schedule. This is mostly for Ben's sake, but I reap the benefit of not wasting 15 or 20 (or more!) minutes trying to drag myself out of bed. This was originally part of my hope for my routine but I struggled to do it without any sort of structure. When I went to Halloween Glowga with the amazing Mikki Trowbridge she recommended the YogaGlo app as a fairly inexpensive on demand yoga app with good teachers and a wide variety of lengths, styles and more. I've only been back on the yoga train about a week, but I think it's going to stick. I may go into a more in depth review of YogaGlo later, once I've got a bit more experience with it under my belt. After yoga, I might shower (I don't shower every day, my body doesn't need it, and I don't like to dry my skin out, or waste the water. I may just wash my face, or I may not...). I have a pretty simple beauty routine, which typically takes 10 minutes or less, depending on how much I have to do, and whether my eyebrows need touching up. I've been doing Bulletproof Coffee, but I'm not sure if I'm going to stick with it or not. When my current bottle of the branded oil is empty, I'm going to return to my normal routine (regular coffee with half and half and a protein shake) and see if I notice any negative changes, as I didn't notice any significant positive changes with the bulletproof coffee in regards to energy, efficiency or weight loss. I'm pretty good at making sure I've pre-loaded the coffee so it's already brewed when I come downstairs. I usually already have prepped any lunch materials and so I only need to pull them out of the fridge (or fruit bowl!) and place them on the small table near the front door that I use as a staging area. I also place my phone or other items that I don't want to forget in that staging area. 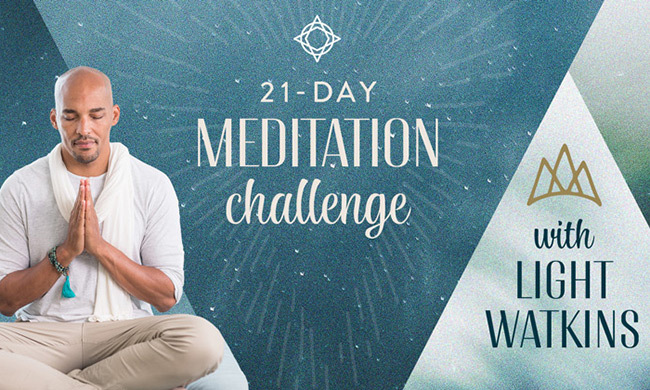 I had the great pleasure of doing Light Watkins' 21 Day Yoga Meditation from Wanderlust. It was the most approachable, enjoyable guided meditation I've ever done. I haven't purchased the videos (yet!) because I can't justify the expense just now, but I recommend the series to anyone! When it was finished, I did a few with the Calm app, but didn't enjoy it as much. Fortunately YogaGlo has dozens of meditations, so I've been using those the last week. On a good day, this last ten minutes is for me to glance at my Facebook, play a move on Word with Friends or some other silly task. My kitties usually climb all over me during my meditation, and I think the cuddles are almost as important as the meditation itself. Often though, something has delayed me and I am running behind, or once or twice a week I leave early so I can get gas before hitting the road. The last thing I do before heading out the door is I kiss Ben goodbye and tell him I love him. I'm typically in the car and on the road by 6:20. I have noticed that I have been more relaxed, less reactive and more able to find humor in my job lately. The nature of the routine, being predictable and second nature, and the inclusion of meditation and now some yoga, are going a long way in helping me to be more centered and receptive. I'm really proud of my routine, and in turn, the dedication I've had in the evening that allows me to be set up for this early morning success.